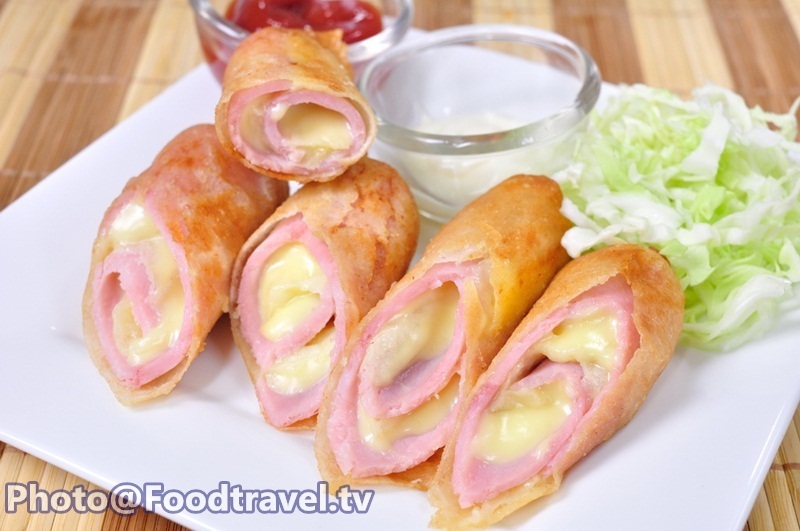 Fried Ham Cheese Roll (Por Pai Ham Cheese) - Fried Ham Cheese Roll is another easy delicious appetizer for a cheese lover. 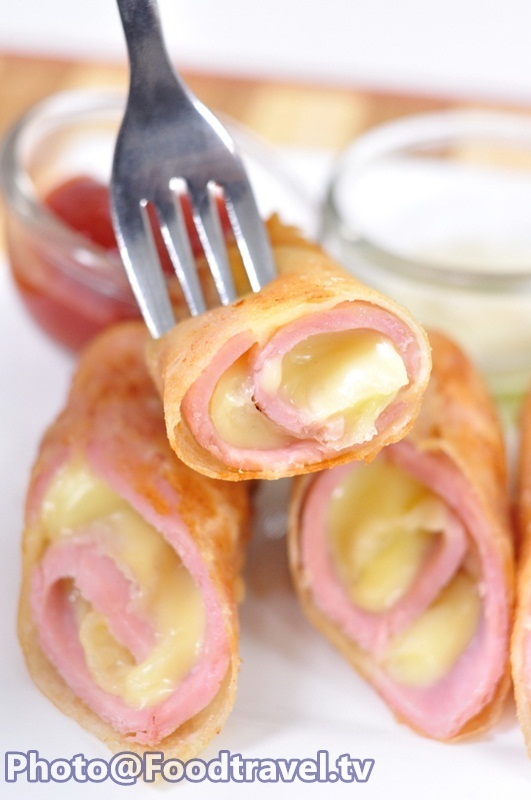 It’s quick and easy to make. Let’s try to serve yourself at home. 1. 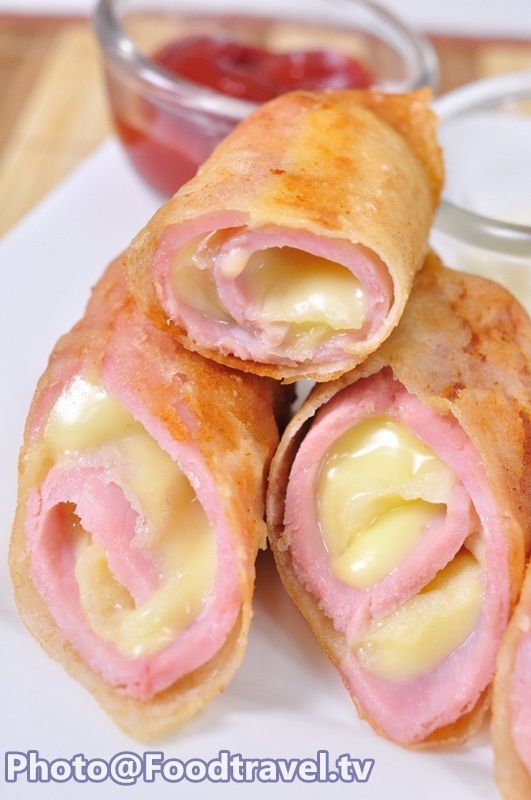 Put ham and cheddar cheese on spring roll sheet and roll it up. 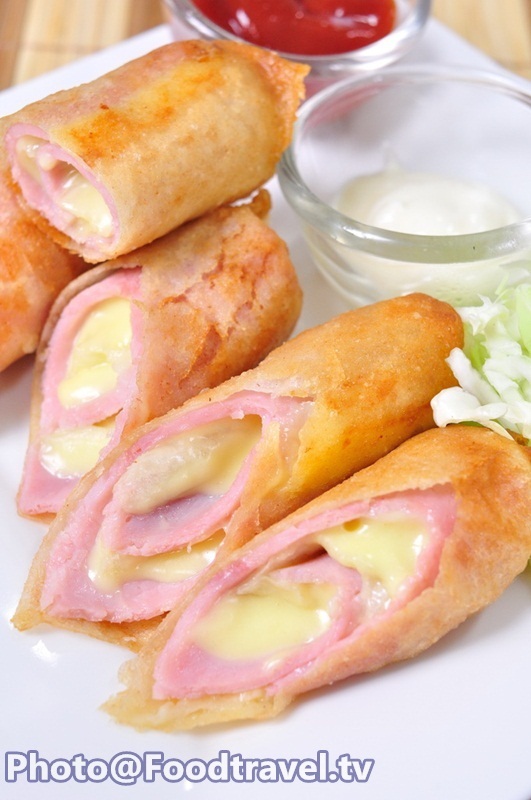 Paint wheat flour (dissolve with water)on spring roll to make it stick together. 2. Fry over medium heat. 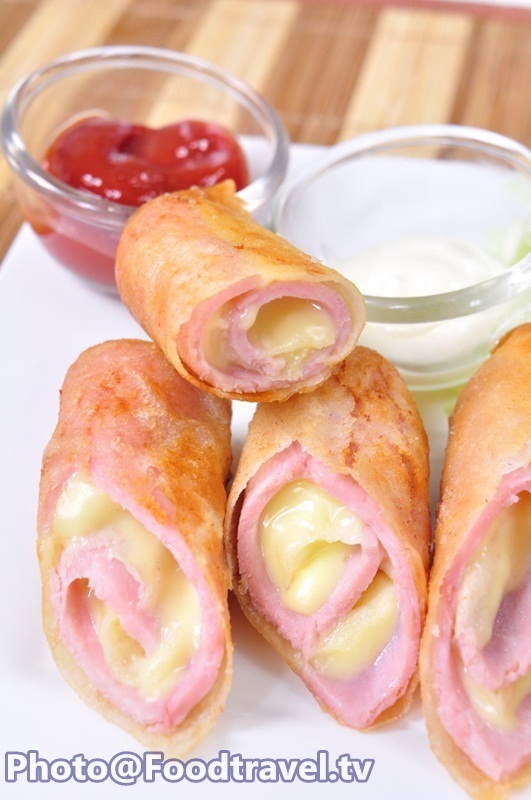 Drain oil and serve with salad dressing sauce and tomato sauce. 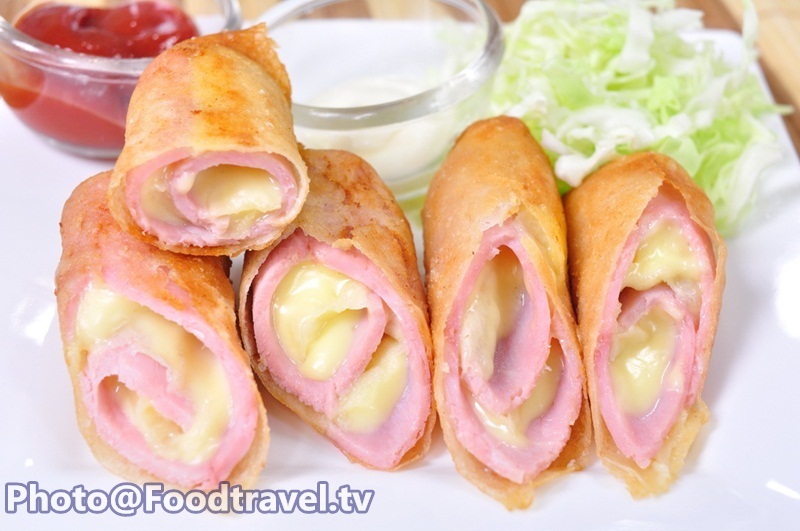 Copyright © 2011 FoodTravel.tv All Rights Reserved.